Every year at Thanksgiving, about half way through the big feast, my mom will ask rather matter-of-factly, "Okay, what are you guys thankful for this year?" Even though I know the question is coming, I'm always caught off guard, scrambling for more than a one word answer. I'll inevitably go with the standard "family," or "friends," which may be cliche but is totally true. This will be Heather's & my first major holiday away from family. We're trying our best not to get too homesick. Even though it's just the two of us, we're proactively fighting those homesick feelings by doing all the things we'd normally do during the holiday season (on a much smaller scale, obviously). 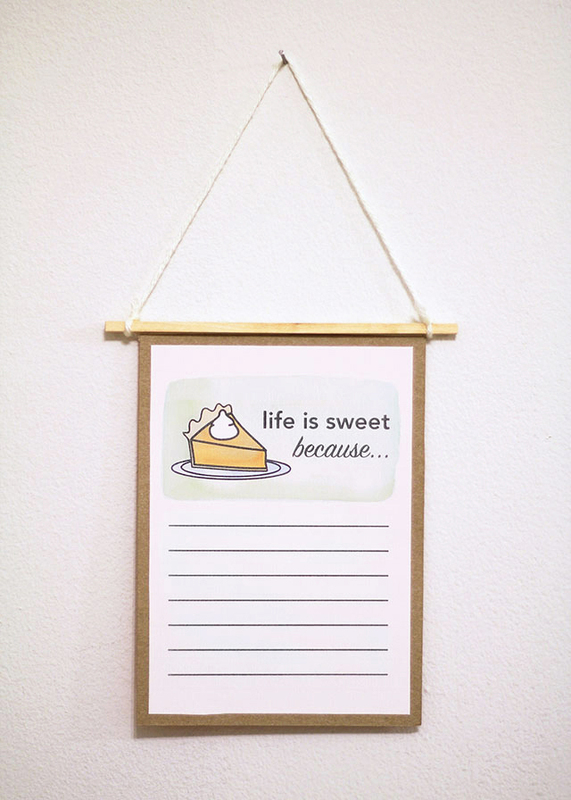 Since listing gratitude is part of my family's tradition, I've starting mulling over what I'm thankful for. 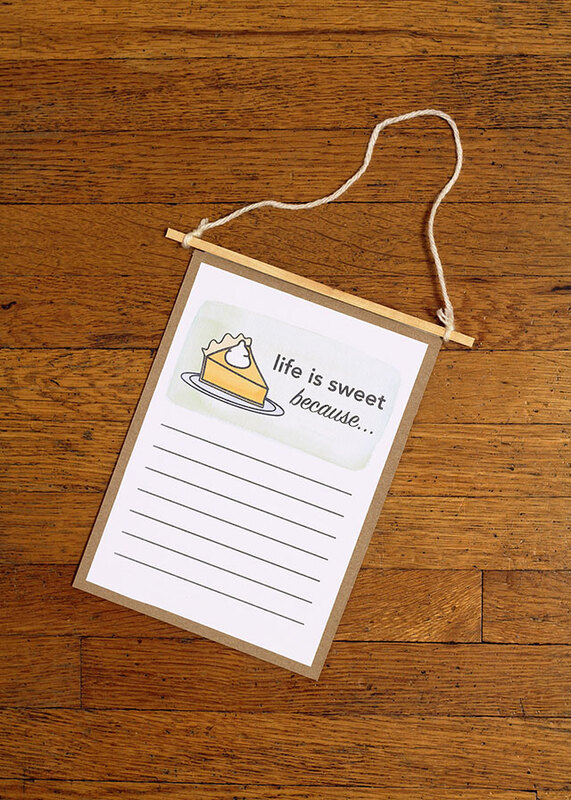 Print out your own "Life is Sweet" list by clicking here! 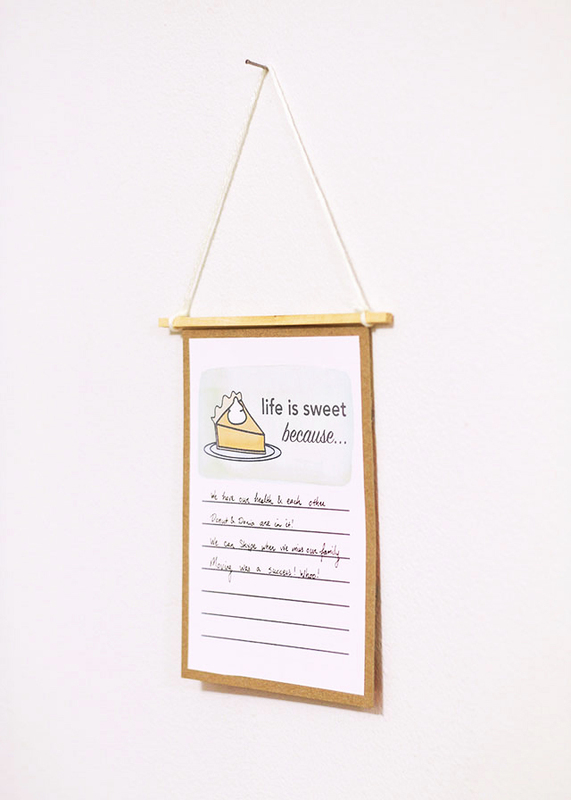 This list is currently hanging up in the kitchen, with me & Heather jotting down our thoughts as they come to us. 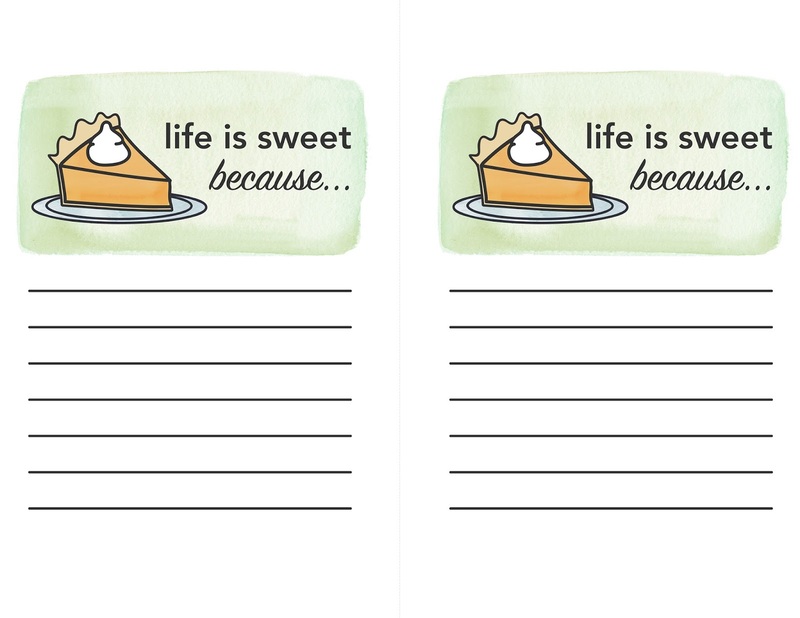 If you're hosting a big family gathering this Thanksgiving, the printable can alternatively be handed out at the dinner table! Side note about Thanksgiving: it is going to be an endeavor/adventure trying to cook a traditional holiday meal for only two! I'm looking forward to the culinary challenge. Any tips? As soon as Fall hits every year I start craving Thanksgiving foods and the two of us end up having Fakesgiving several times before the real thing.